Fluttering Butterflies: Books that changed my mind about paranormals! Books that changed my mind about paranormals! You may know this about me already, but the books that I really love the most are usually contemporary stories. I like realistic fiction the most. Some of my favourite authors are Melina Marchetta, Sara Zarr, Courtney Summers, John Green etc ... most of which write contemporary YA. But there's a whole lot of books out there that isn't contemporary YA. There's fantasy, and historical and dystopias and science-fiction. But the genre within YA that I always thought I'd want to avoid are books involving paranormal creatures. There was always one or two creatures that I thought it best to avoid entirely (Let's be honest here - it was angels and fairies!). And then I realised the other day that I actually love them all. And mostly this change in opinion happened by reading a really excellent book that just changed my opinion completely. And those books are what I wanted to write about today. I'm pretty sure that Twilight by Stepanie Meyer was the first book about vampires I read. And following the success of Twilight, there was a whole slew of paranormal creatures falling in love within the pages of YA fiction. And while I read a fair few of these, there became a time when I thought to myself 'no more!' there's only so many books about sparkly or beautiful vampires that I can take!' 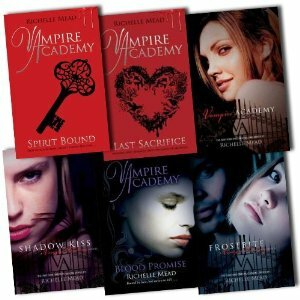 and vowed off all vampire fiction that came along ... Until I bowed to peer pressure and picked up Vampire Academy by Richelle Mead and fell in love with Rose and Dimitri and everyone else. I also love, love, love the new spin-off series involving Sydney and Adrian. When it comes to Richelle Mead, I need more vampire fiction in my life. She brings us excellent and fast-paced storylines. She brings unexpected twists and surprises that makes me gasp out loud and wonder frantically what on earth can happen next?! And she brings wonderfully flawed and likeable characters. Another book to mention, The Immortal Rules by Julie Kagawa! 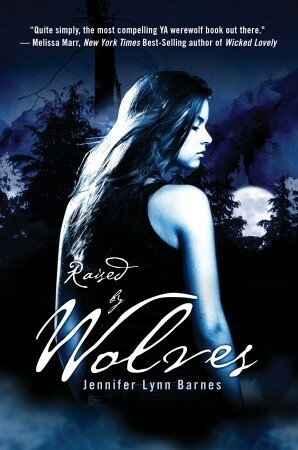 And then I picked up the Raised by Wolves series by Jennifer Lynn Barnes and my mind was changed almost instantly. Because I realised that werewolves are my kind of paranormal creature. They are usually raised in a pack with strong loyalties to other pack members and the way in which Jennifer Lynn Barnes specifically writes about them was incredibly interesting. There's so much about animal psychology that goes into her writing that I find fascinating. I've since devoured all three books in the series by her and I cannot wait to read other books by Jennifer Lynn Barnes because I enjoyed these three so much. There was just something really great about the idea of a fragile human girl amongst a pack of werewolves and the way in which she found a place within that life. It was great stuff, I really recommend that series. Other books include Trial By Fire and Taken by Storm. 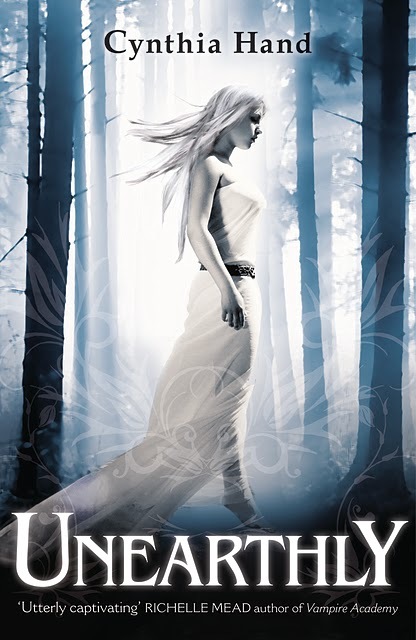 Until another blogger friend recommended the Unearthly series by Cynthia Hand. This blogger friend isn't a great reader of paranormal fiction either, so her recommendation carried more strength for me. I immediately went out and picked up the first book in the series, and I loved it! Yes, the main character is an angel, and yes, there is some weird mission to complete that is apparently divine in origin. But there is also this beautiful atmospheric setting of the Wyoming wildnerness, and amazingly emotional scenes of falling in love for the first time and all of this other great stuff that had me absolutely addicted. The second book in the series? I even loved Hallowed more than Unearthly, which I didn't think was possible. I'm on the edge of my seat waiting for the UK publication of the third book, Boundless! You must read them. 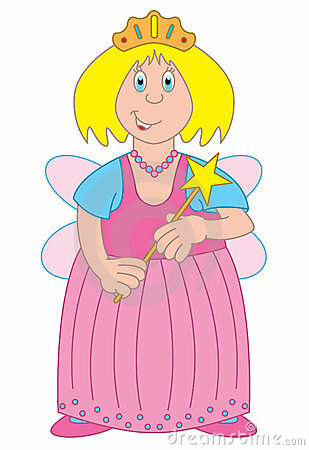 And going from one of my least favourite paranormal creatures (angels) to another, let's talk about fairies. I hate the things. I really do. I've read a bunch of books about fairies and I find it all rather dull and not very interesting. Perhaps it's the fault of the individual authors that I've previously read? 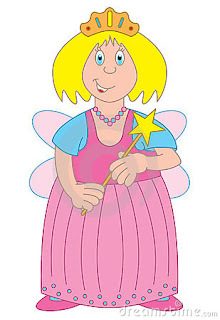 Or maybe genetically I'm just not the right person to read about fairies? I don't know. What I do know is that if Julie Kagawa writes it, I will read it. I wasn't sure about The Iron Fey series when I first read about it. I thought to myself 'fairies, I hate fairies' but after some very strong persuasion from different people, I went ahead and picked up the first book in the series. And oh my god, I'm glad that I did. I could write all day about how much I love this series. I love the setting of the Nevernever. I love the Summer and Winter courts as well as the different courts that appear in this series. I love the friendship between Ash and Puck. I love the romance. I especially love (LOVE!) Grimalkin. I'm so excited that we'll see more of the characters from the Iron Fey series in this new series starring Meghan's little brother, in The Lost Prince! Hurrah for that! Which books changed your mind about paranormal YA? I'd love to hear your favourites! Oh I hope you do! I really loved them all. I love The Iron Fey series! I was a little unsure going into it, because I didn't think I would be a fan of fairies, but I was so wrong! I loved Finding Sky by Joss Stirling - it was paranormal but not as we know it. The Demon Trapper's Daughter series by Jana Oliver is great too, it reminds me a little of Buffy the Vampire Slayer, which is never a bad thing! I really enjoyed Finding Sky and the entire series of books by Joss Stirling. Unfortunately, I couldn't get into the Demon Trappers books. The first book just seemed like there was a ridiculous number of love interests and that put me off entirely. Amazing post! I finished The Iron King last night and I have to say, thanks to that, Holly Black's Modern Faerie Tale series, and Ash by Malinda Lo, I feel much more excited to tackle some of the other books about faeries that have come out recently! I was dubious for a long time but I just have to admit my love of morally grey faeries and get on with it! Ooh, I definitely love morally grey fairies too :) I couldn't get into Holly Black's books, but I did love Ash. And of course The iron Fey books!